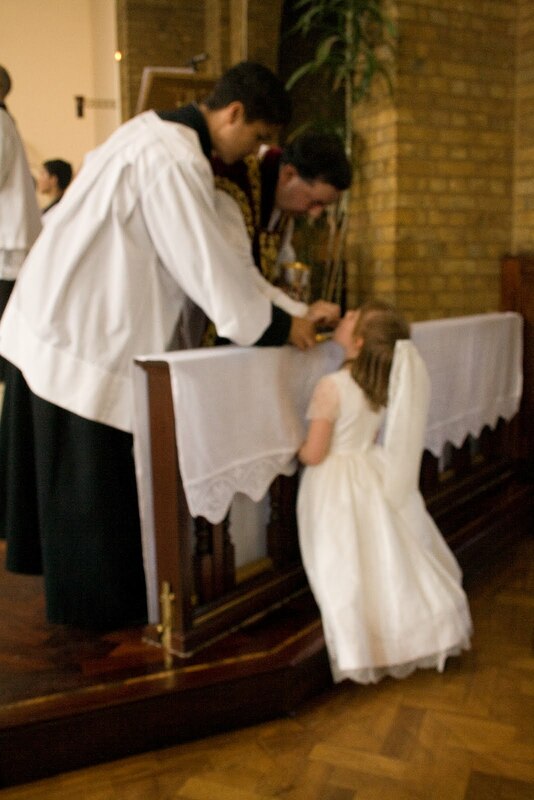 I attended another First Holy Communion on Sunday - that of my own oldest daughter. Unfortunatly my camera is playing up! But it was a great occasion. 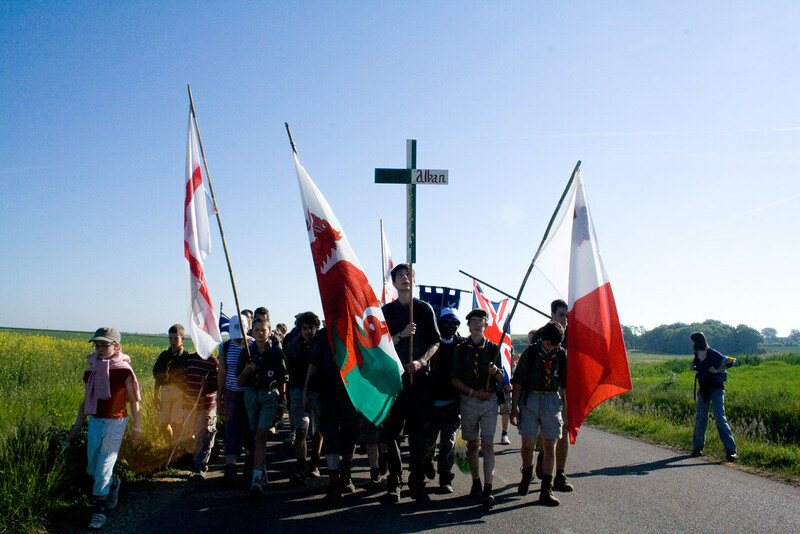 I am currently preparing for the Summer School 2010 at Ardingly College; the week after that is the LMS Priest Training Conference, which is now FULLY BOOKED! So to say this is a busy time would be an understatement! With a moment of leisure in London today, I visited the Tyburn Convent. The convent is near the site of the Tyburn Tree, the public gallows where more than 100 Catholic martyrs were executed. I arrived in the public part of their chapel (grilled off from the nuns' part) while they were singing the Office (in English). 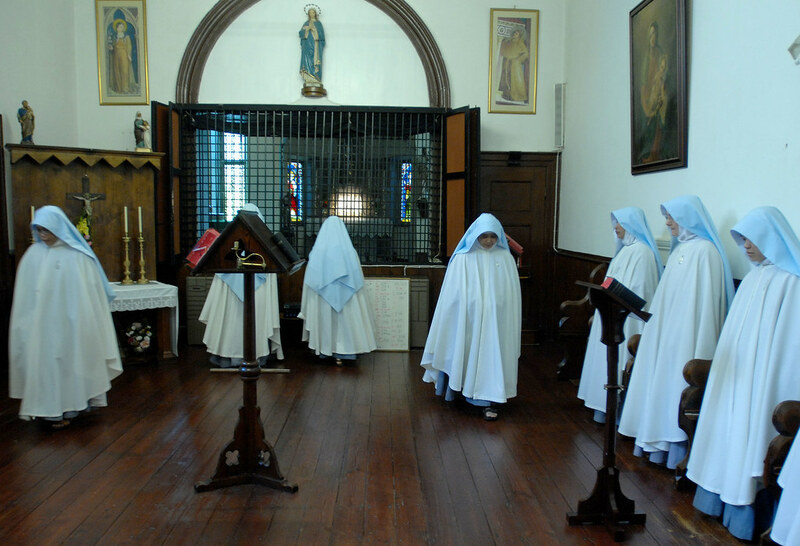 At it's conclusion the nuns processed out, but one came to kneel on a prie-dieu in front of the Blessed Sacrament: they maintain perpetual exposition. A most moving witness to the Presence of Our Lord. Alas the altar and it's surroundings have clearly been 're-ordered' at a moment of particularly dismal taste. The altar is so arranged with the steps as to make Mass ad orientem as difficult as possible. It is hard to imagine this situation surviving another twenty years! Fr Aldo Tapparo, Parish Priest of St Anthony of Padua in Headington, gave First Holy Communion today in his freshly redecorated church (with a new Sanctuary lamp too). It was a beautiful occasion, illustrating the 'ordinary' Catholic life of Catholics attached to the 'extraordinary' form of the Roman Rite. It is not all solemn liturgies in great or historic churches - not that there is anything wrong with those. It is simply that life also includes low Masses on weekday mornings and family occasions which are important to a small circle of people. May Dominic's love of the Blessed Sacrament always burn brightly! 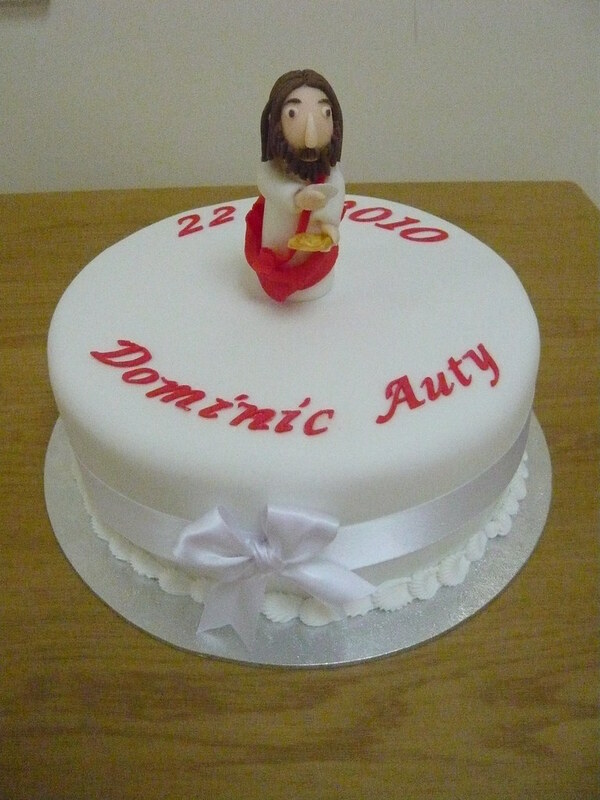 Lucy Shaw Cakes provided a suitably decorated cake which was consumed after Mass. This is a very exciting proposal - if the necessary benefactors could be found. Please pass this news on! Photos of Lanherne below and more here. The nuns have restored the chapel. In St William of York Upper Redlands Road, Reading. 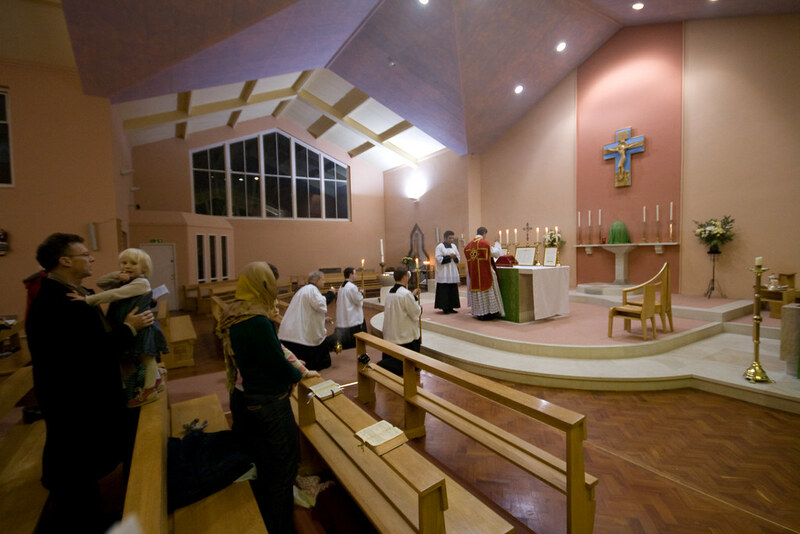 · Friday 17th September 2010: 7pm: Sung Mass ‘Pro Fidei Propagatione’ (Votive Mass n°18) followed with Prayer vigil in front of the Blessed Sacrament until midnight: occasion: Holy Father’s visit. IN JULY 2008, when Cardinal Darío Castrillón Hoyos swept into Westminster Cathedral resplendent in cappa magna to celebrate an old-rite Mass, hopes were high for a Tridentine revival across England and Wales. 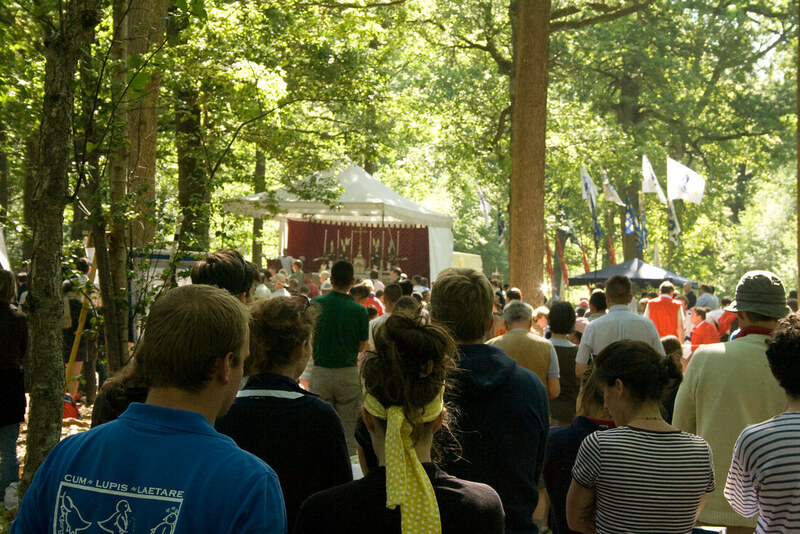 Traditionalists boasted that some of their most enthusiastic followers were young people. The reality, however, seems to be rather different. Last weekend, Dr Joseph Shaw, the chairman of the Latin Mass Society (LMS), told his society’s AGM that the situation in parishes was “a paradox”. The problem? In some places old-rite Masses are attended only by a few people yearning for the Mass of their youth. Notice how what they quote doesn't actually undermine the claim attributed to 'Traditionalists' 'some of their most enthusiastic followers were young people.' This is partly because, as they express it, it is a very weak claim. I'm pretty young, and so is my 6-year-old daughter, and we are among the most enthusiastic supporters of the TLM, so the claim is true. But of course the LMS would go a lot further, and say that the Traditionalist movement is increasingly typified by large numbers of young people - and even this claim isn't thrown into doubt by my observation that there are some Masses where there aren't very many of them, let alone my observation that people in some parts of the country can't get the Mass because it is not being provided for them as it should be - how does that fit in? (Was the last bit included by mistake?) And I didn't say anything about people yearning for 'the Mass of their youth' - some of the oldies I know who attend the Traditional Mass, as it happens, are post-conciliar converts. Readers of The Tablet should take scant comfort from my admission (Notebook, 3 July) that congregations at some old-rite Masses are small and predominantly ageing, since this merely reflects the wider Church in depopulated cities and the countryside. They would be better employed reflecting on the fact that the usus antiquior is attracting intelligent young people who are eager to recover what the older generation seemed so determined to discard. 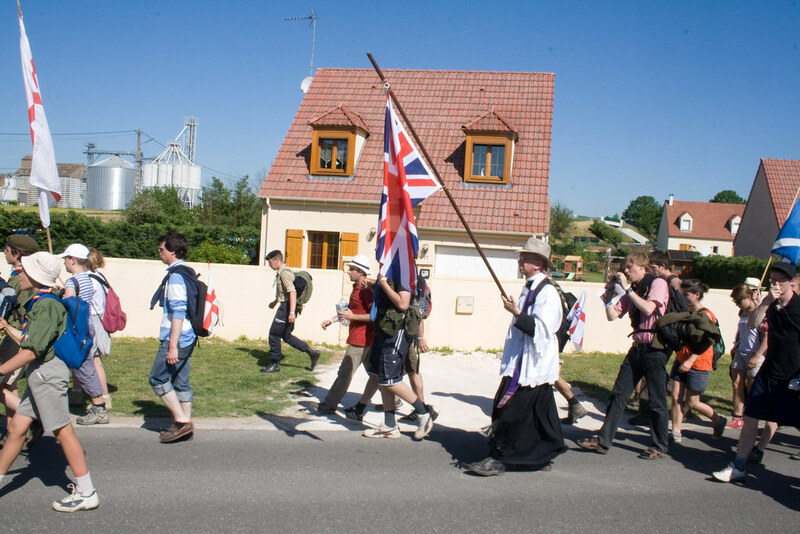 If they would like evidence of this, they need only look at events (not reported in The Tablet) such as the recent 70-mile walking pilgrimage from Paris to Chartres, where the traditional Mass was celebrated daily, which attracted more than 10,000 mostly young people. Kipling's anger and bitterness - he lost his only son Jack in the War - are appropriate for our situation. Far worse than to lose your child in a war, is to lose children and grandchildren, or contemporaries, to the faith, since in this case it is their immortal destiny which is at stake. If there are any people really taking satisfaction in the illusory idea that the Traditional Mass isn't attracting the young, they must be the most fossilised liberal fanatics who would rather see the Church disappear and her children be damned than that the Mass of Ages to return. A combination of poor liturgies, uninspiring religious formation and the lure of new experiences, especially sexual ones, don’t encourage Mass attendance. 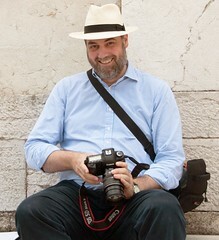 As Valle Adurni says, welcome to the real world! Glad to have you with us! So stop carping about the spread of the 'Tridentine Mass' (surely The Tablet is the only publication in the world using that terminology), and think about its benefits for the Church. The question of communion in the hand at the Traditional Mass has long been unclear. It was not permitted in 1962; it is permitted now (albeit with great reluctance, as a concession to a condemned abuse). Is it permitted now for all forms and rites? Or should those using the 1962 Missal be bound by the rules in force in 1962? The latter has long seemed the more sensible opinion to the Latin Mass Society, and to most people attached to the 'earlier liturgical traditions'. 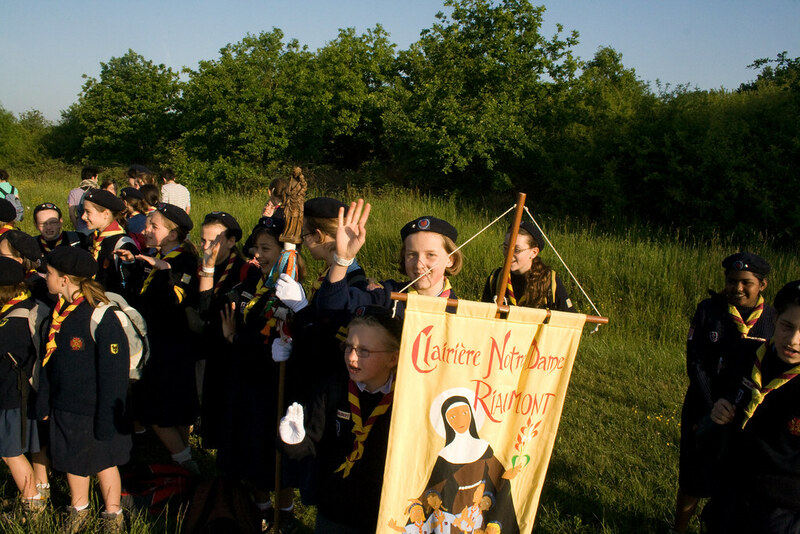 To adopt into the 1962 Mass customs permitted in the context of the 1970 Mass undermines the integrity of the rite. Each Missal has its own liturgical law, both written and unwritten. Not all issues are on the same level, however. The question of when Catholics are obliged to go to Mass, and how long they must fast before Communion, are set by canon law (in the first case in the context of decisions made by ordinaries). What is obligatory under the latest Code of Canon Law is obligatory for all Catholics subject to that Code, ie the Code for the Latin Church covers the whole Latin Church. By contrast, liturgical law is specific to the form or Rite. The common view has been confirmed by the Pontifical Council Ecclesia Dei, as this letter makes clear. These clarifications are to be welcomed. One may ask: what should a priest do faced with someone insisting on receiving in the hand? The clarification itself, and priests' explanation of the situation, should make this a less frequent occurance. But as with all attempts at inappropitiate behaviour at Mass, priests must respond in a sane way with pastoral sensitivity. There is no legislating for such such cases. In reference to your letter of 15. June, this papal commission would like to point out that the celebration of Holy Mass in the extraordinary form envisages the reception of Holy Communion while kneeling, as the Holy Host is laid directly on the tongue of the communicant. 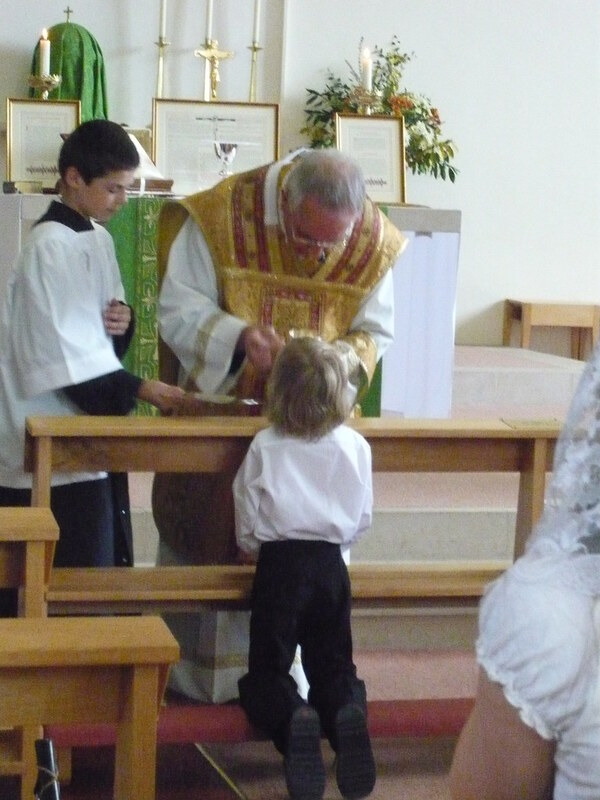 There is no provision for the distribution of Holy Communion on the hand in this form of the Holy Mass. 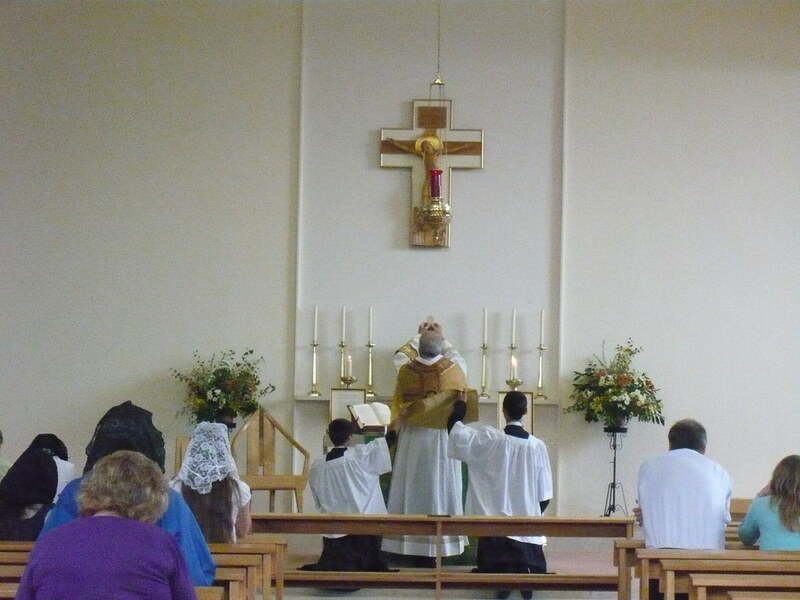 We attended the Traditional Mass in the church if Fr Bede Rowe in Warminster, a Low Mass at 6pm. The church is being redecorated so this wasn't the ideal occasion for photographs! 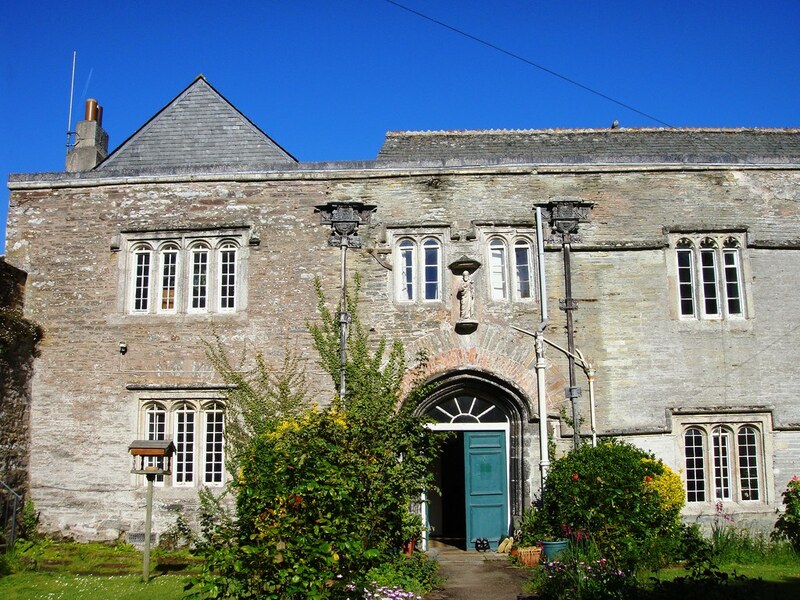 Whenever I go to Warminster I see people I know from other contexts, perhaps because there are few Old Masses in Clifton diocese and people travel here from a long way away. 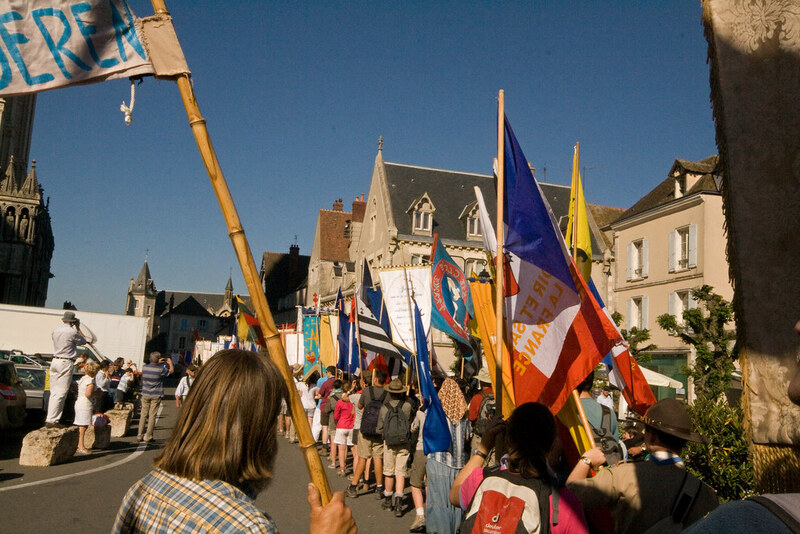 This time I saw several people I met on the Chartres Pilgrimage. More photos now available here.